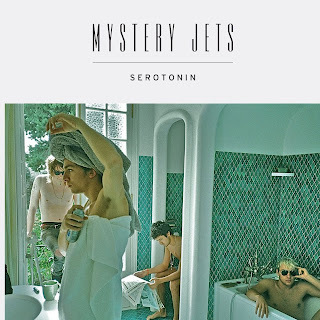 Mystery Jets may still be trying to revisit the success of 2006's Making Dens by writing well-hooked pop songs, but on Serotonin they've created what feels like two EPs thrown together in some sort of unholy sandwich. Every song on the record has a phenomenal electro-synth-punk hook, but many of these tracks feel like they are alive because of a pacemaker, rather than a real, beating, surging heart. And the lyrical composition varies greatly, from strong work on the opener "Alice Springs" to atrocious schmaltz in "The Girl is Gone." Aside from the opener, the album lulls, contradicting its title greatly, into a wallowing sort of pseudo-punk music that whines about love and doubt while covering it with grinding guitar and rambunctious drumming. But, it would be unfair to pin a negative tag on the whole album based on a weak beginning. Mystery Jets accomplish something by sticking to formula. On tracks like "Flash a Hungry Smile" and "Serotonin," Blaine Harrison's vocals carry fairly conventional, but extremely enjoyable songs. The music here is bouncy, hopeful and empowered rock, that leads well into the album's debut single "Dreaming Of Another World." It represents a well-crafted and thorough pop song, and one of the highlights of the album. 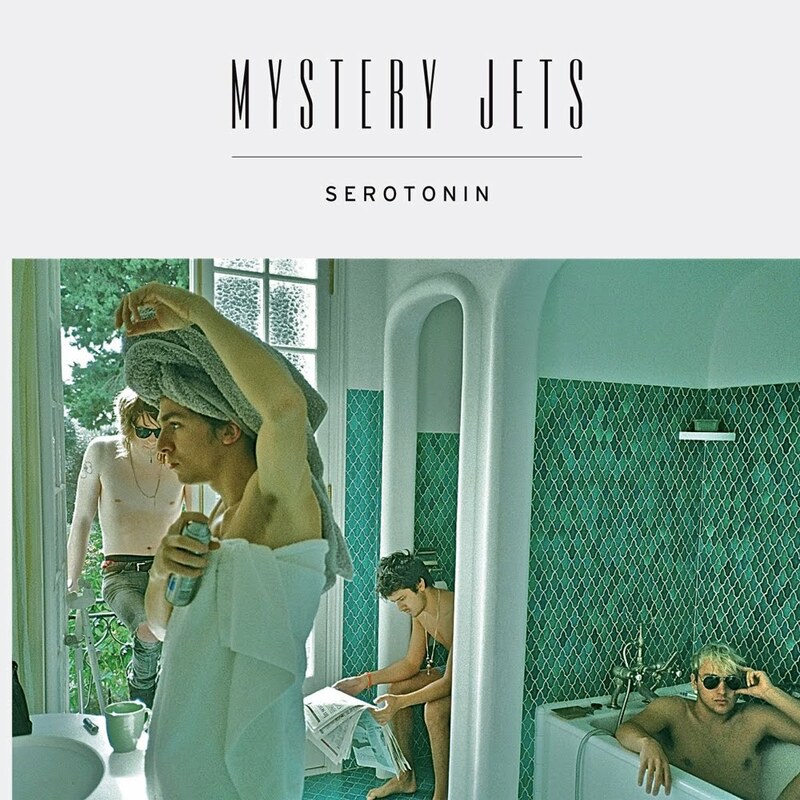 From that mid-point out, Mystery Jets present more conventional songs with great hooks. And another lyrical failure with "Waiting on a Miracle" refraining with "a miracle will come if you wait." The sentiment sadly sums up a lot of the album, that somehow by waiting Serotonin would turn into a great album, or at least "Waiting on a Miracle" would be a good song. The closing tracks, "Melt" and "Lorna Doone" are both solid enough, "Melt" being the winner of the album's second half. Mystery Jets doesn't fail completely here, and in fact, they're main crime may be trying to be ambitious. Great hooks make for songs that trick the listener into liking them, but beneath those the album is fractured and unsure of itself. This could have easily been a solid EP, but it feels stretched beyond its capacity. But that said, the band deserves accolades for a great, if dated, Phoebe Cates reference. The album could easily have been great, but at most this foray is only good.